TriMet Portland | Triunity Engineering & Management, Inc. 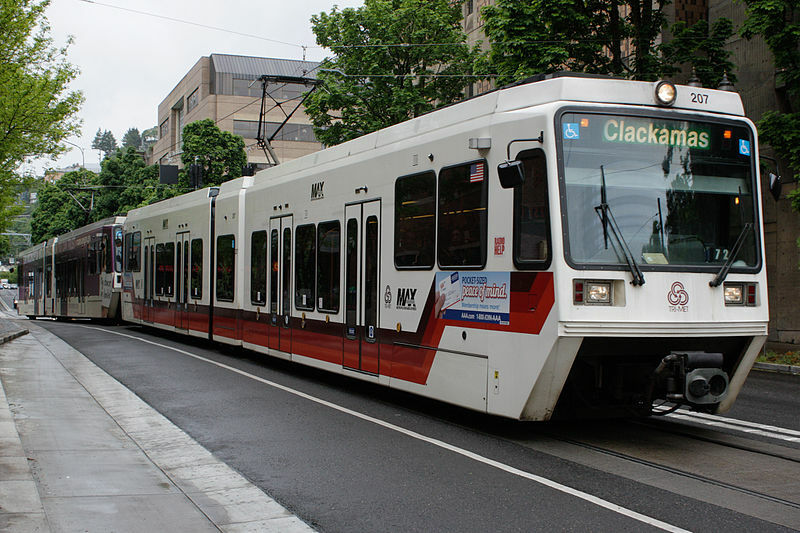 The Portland to Milwaukee Light Rail (PMLR) project connects Portland State University and downtown Portland with the South Waterfront community and the communities of Milwaukie and Oak Grove. It created an extension of 7.3 miles of light rail and 10 passenger stations, which included a new bridge across the Willamette River carrying light rail, buses, cyclists and pedestrians between South Waterfront and the Oregon Museam of Science and Industry (OMSI) in Portland. Triunity was responsible for communications engineering, including designing the fiber optic backbone cabling systems, Supervisory Control and Data Acquisition (SCADA) system modifications, access control system, structured cabling system, track intrusion detection system, variable message sign system, public address system, modifications to the control system, and radio system modifications. We also assisted in updating the mobile Closed-Circuit Television (CCTV) system on the fleet of light rail vehicles and busses. These vehicles were originally equipped with analog cameras and data-pack style recorders with no wireless download capability. Triunity evaluated TriMet’s CCTV user needs and prepared a program plan to define TriMet’s future Vehicle Borne CCTV Upgrade Project.